Two Iowa City men have been charged in a violent home invasion in which two men were beaten and a woman sexually assaulted. 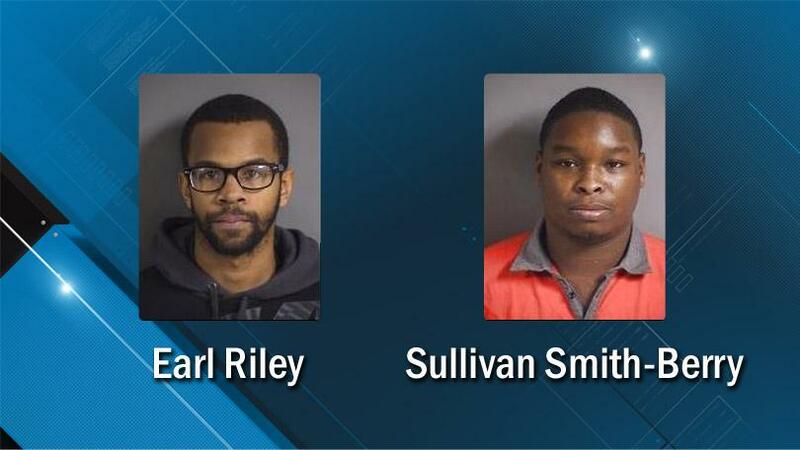 25-year-old Sullivan Smith-Berry and 28-year-old Earl Riley each have been charged with first-degree robbery, first-degree burglary and second-degree sexual abuse. Police say the men broke into an Iowa City apartment on Nov. 3 wielding an assault-style rifle. Investigators say the men beat two other men inside the apartment with the gun, and kicked and stomped on the victims. Police say Smith-Berry also dragged the sister of one of the victims into a bedroom and sexually assaulted her. Officials say Smith-Berry and Riley then left with cash and other property. Attorneys for Smith-Berry and Riley did not immediately return phone messages left Thursday.